Sail away on a fabulous Toronto cruise. Exclusive, elegant, yet affordable, we offer Toronto dinner cruises from April 1st to December 31st on a magnificent selection of private charter yachts for groups of up to 600. With your choice of afternoon or evening cruises in Toronto’s picturesque harbour, all-inclusive packages can be totally customized to meet your requirements and your budget. Entertain aboard a beautiful nautical venue. We offer a selection of fantastic cruises in Toronto that rival any land-based locale. Specializing in corporate events and personal functions, the Toronto boat cruises that we offer can provide a complete range of services and extraordinary cuisine. Select from breakfast, brunch, lunch, picnics, cocktail parties, onboard barbeques, casual dining, buffets, food stations, or multi-course sit down meals. Come aboard one of our Toronto cruises and experience first hand how fabulous entertaining on the water can be. 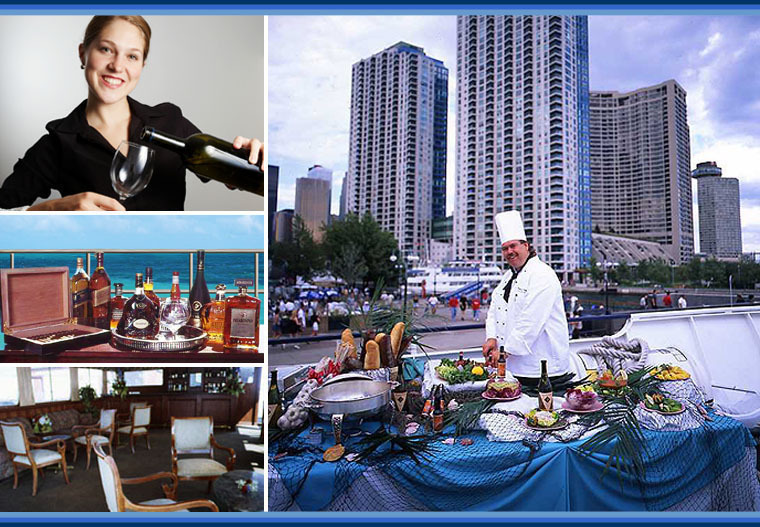 In addition to superb cuisine on our cruises in Toronto we offer yacht selection, themes, décor, rentals, florals, food and beverage, photography, videography, music, entertainment, transportation, invitations, onsite coordination, and more. Reserve the date for your Toronto dinner cruises today.